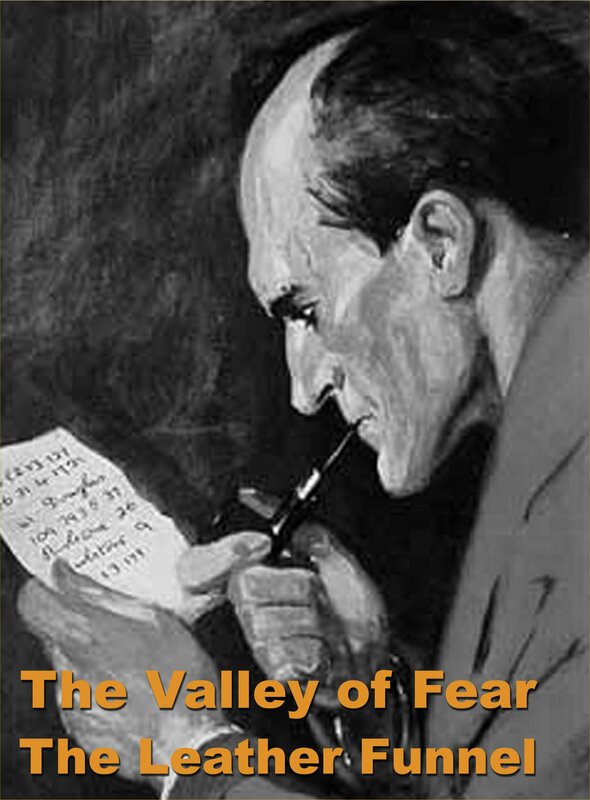 The fourth Sherlock Holmes novel written by Arthur Conan Doyle, "The Valley of Fear" was first published in serial form in 1914 and 1915. This unabridged reading is performed by Patrick Horgan ~ 295 MB zip file. The fourth and last of the Sherlock Holmes novels was serialized in America and England more or less concurrently in 1914-15. The story itself takes place quite early in the Canon in 1888, with a flashback based on Pinkerton's book about the Molly Maguires in the coal mines of Pennsylvania which is set in 1875. A pattern now appears among the four novels, since each of that has a long passage in which Holmes does not appear. In "The Hound of the Baskervilles" this takes place on Dartmoor, where Sherlock Holmes is hiding; in "The Sign of Four" the flashback goes to India and the Andaman Islands; while in "A Study in Scarlet" and this work we are taken to America. Since the clock has been turned back this allows for the reappearance of that "Napoleon of crime", Moriarty. Sherlock Holmes says he is responsible for the death of the heroic Douglas McMurdo off the coast of St. Helena. This is doubly interesting because Moriarty and Murdo belong to the same family of Irish names.